Kitty Ostapowicz is a professional and hard working actor with a love for travel, makeup, shoes, and peanut butter. The acting bug was sparked at age 6 in her kindergarten class production of The Three Little Pigs. In her role of “Third Pig”, she found herself frustrated with how lax her costars were. She pushed through a gut-wrenching performance, only to end in tears, lecturing her cast on the importance of professionalism and dedication to the show. And so it began. 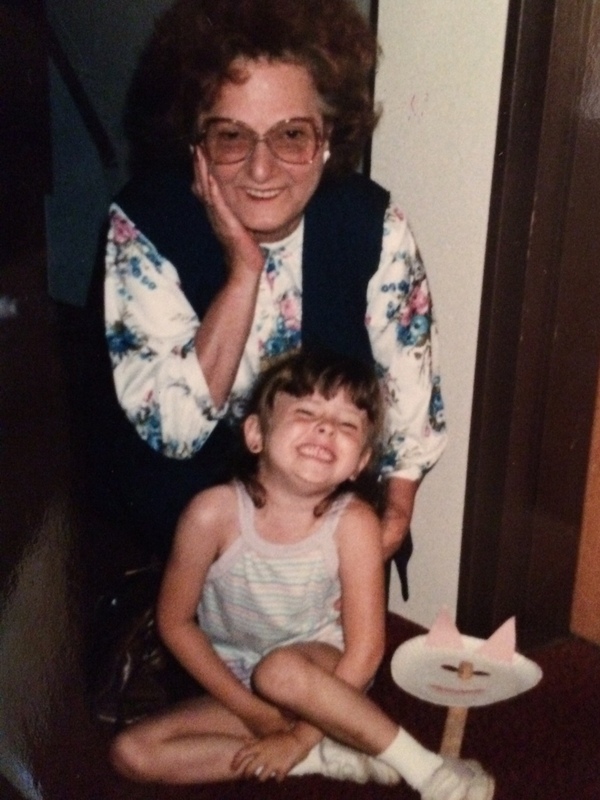 My Grandmother and I, after my stage debut as “Third Pig”. She studied ballet, pointe, jazz, tap, and modern dance and dabbled in baton twirling growing up, started playing the flute at age 8, and immediately joined choir after a concert in 4th grade. 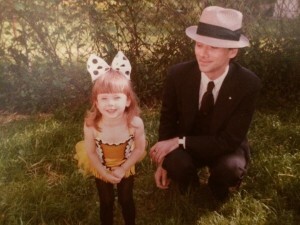 My father and I right before my second dance recital. 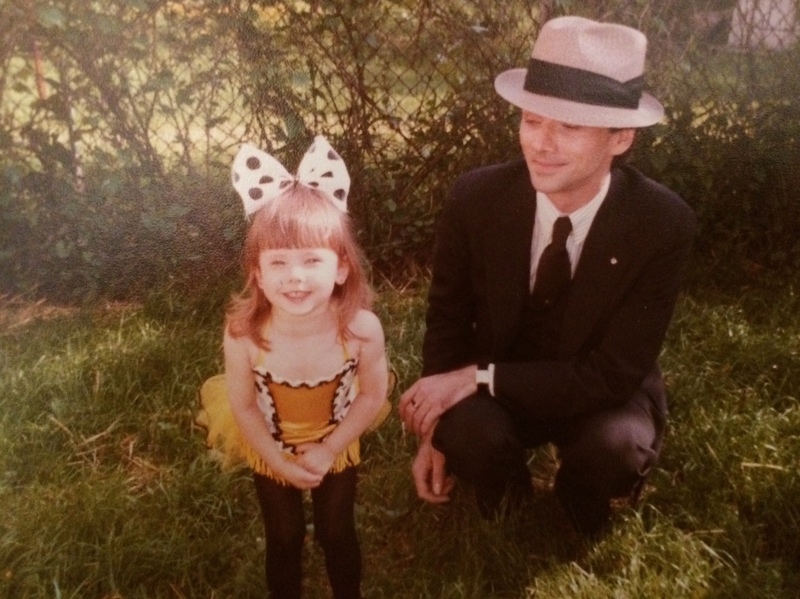 I was the ORIGINAL tap dancing bee. She went on to studyMusic Theater at University at Buffalo because she couldn’t choose between the singing, dancing, or acting aspects of her passion, and spent some time performing in musicals and at Six Flags and Busch Gardens before heading to New York to pursue her dreams of Broadway. Somewhere along the way, she found herself in the indie film world, and in a full circle, straight acting again became her focus. Kitty’s favorite genres to watch are horror, thrillers, sci-fi, and otherworldly adventures. That translates into a love for projects that somehow challenge the ideas of what “normal” and “reality” are. 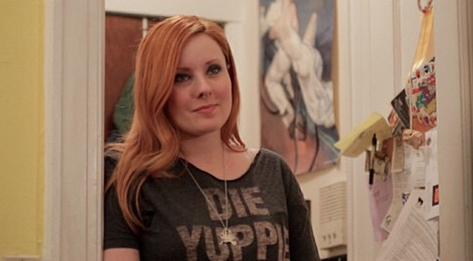 Screen grab from upcoming feature film, “Meme”. Kitty is currently committed to finding the most challenging and “out there” roles to expand and strengthen her skill set, and have the best time possible doing the only thing she could ever imagine doing: Acting.